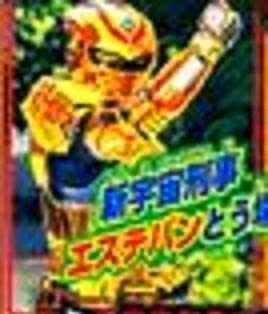 New magazine scans have revealed a gold Space Sheriff who will make his debut on the direct-to-home videos; Space Sheriff Sharivan NEXT GENERATION and Space Sheriff Shaider NEXT GENERATION. The next Space Sheriff's name is Estevan (Uchū Keiji Esuteban 宇宙刑事エステン). This looks like a rehash of Gavan Bootleg from the Gokaiger vs Gavan Movie. 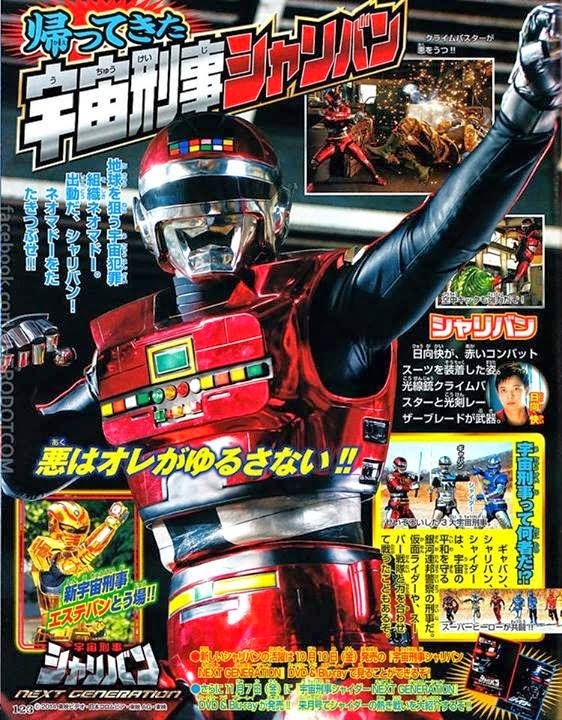 According to rumors Baba Ryoma (Tokumei Sentai Go-Busters) will be the next Space Sheriff. Until we get the final confirmation please treat this with a grain of salt. No details yet whether he will be against our heroes but more information will be updated soon.